The subatomic particles that make up everything in the cosmos, or the laws of Physics, Gravity, Thermodynamics and so on, are considered to be the basic building blocks of the universe. However, some physicists now claim there is something even more basic; Information itself. They believe the universe works like a cosmic computer, a giant quantum computer of unimaginable complexity, constantly crunching tiny bits of information. According to Dr Paul Davies, a cosmologist at Arizona State University, information is much more like a fundamental concept. It really has to do with whether a physical system can exist in more than one state. This is just like tossing a coin, heads and tails, and taking a look at it, and you find, for example, heads, then you gain a bit of information. When you select from a range of possibilities and find there is one actual outcome, then you gain information. And ultimately all science, all of our experience of the world, all of our observations come from interrogating Nature, and gaining bits of information. Now, what is life? It is individual, and its highest form, so far, is the Person in which the individual becomes a self-contained exclusive center of experience. We appreciate our center of experience in our Personality itself, in our acts of perceiving, judging and willing and in this process we are constantly interacting with information. In other words, human life is a kind of tension caused by the information invading the Person, and the Person invading the information, gladiator-like, in an arena of mutual invasion. Our personality is present in this arena as a directive energy and is formed and disciplined by its own experience. Physically as well as spiritually human being is a self-contained center, but not yet a complete individual. The ideal of humanity is not self-negation but self-affirmation and they attain to this ideal by absorbing more and more information. The less information we possess, the less our individuality and uniqueness. One who attains the most information is the completest person. This view of humanity is opposed to that of all forms of Pantheistic Sufism which regard absorption in a universal life or soul as the final aim of our salvation. Perhaps the true person is not finally absorbed in the universe. On the contrary, they continuously absorb bits of information into themselves and become more unique and individual by mastering the world of matter. Life is a spiritual principle and the greatest obstacle in the way of life is matter. But matter is not evil, since it enables the inner powers of life to unfold themselves. Life removes all obstructions in its march by collecting and absorbing information. Thus, human life attains freedom by the removal of all obstructions in its way. It is partly free, partly determined, and reaches fuller freedom by absorbing more and more information. In one word, life is an endeavor for freedom. Nasruddin’s Incompleteness Theorem: Can the “Great” Past/the Promised Land be Realized? 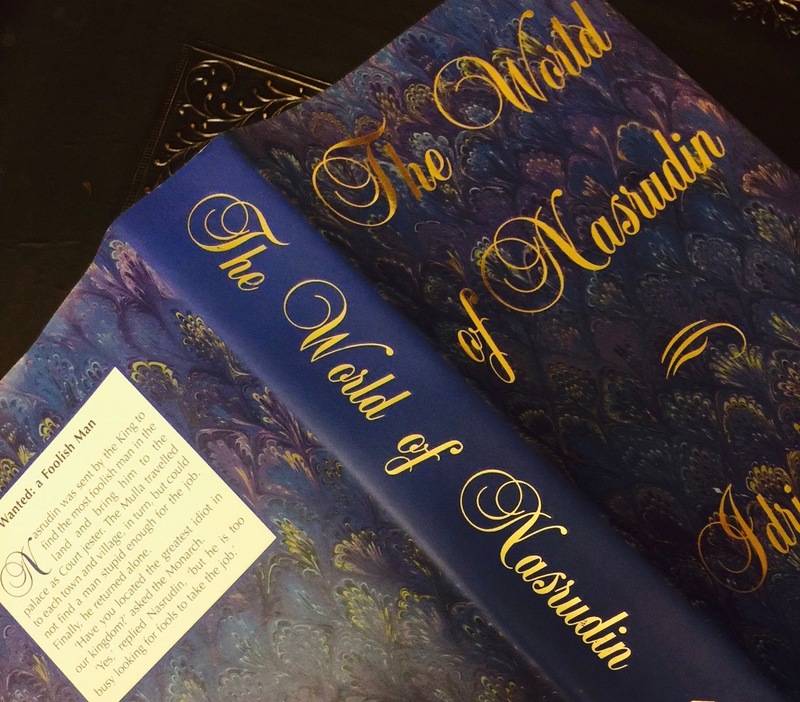 Mullah Nasruddin, the wise fool of Sufism, had a narrative that was often obscure. Once when he left something incomplete and unexplained people asked him for more. He said, “The cause and effect cannot be in the same story.” He sounds like a postmodernist! Language cannot convey completion. Every narrative must, it seems, remain incomplete. Just as every human being, every product of the human mind, every system of philosophy, every ideology, is incomplete. Moses cannot get to the Promised Land. Perhaps as well for him, given the kind of bloodshed that ensues after him. Instead, Joshua gets to go as a conqueror, in the Old Testament narrative. A new narrative has to be created to separate cause and effect. (In the story of the lost keys, Nasruddin cannot, must not, find his keys, in the light or in the dark.) The Promised Land is not a peaceful Garden of Eden. It’s a mixed blessing. The story is, will always be, incomplete. Lacan speaks of a surplus and a lack. There is always something unsaid in what is said. Derrida said, “There is nothing but the text,” yet the text cannot be without a lack. A surplus remains outside of our grasp. Meaning is always deferred. The subject is divided. Moses & Joshua cannot be in the same story. Moses was the beginning, Joshua the end. Yet, says the Kabbalah, “The beginning is in the end, the end in the beginning.” Nasruddin was medieval yet postmodernist. Contrary to what he says about narratives, the Mullah continues to try to take on the challenge: of trying to say the unsayable. A Zen teacher said, “To do this practice (Zen), we have to give up hope.” Nasruddin seems not to give up the hope of completing what can’t be completed. He tries to disprove his own incompleteness theorem, but always ends up showing the futility of the task. He hopes, I think, that those willing to learn from a fool, will learn to find hopelessness and in it some hope and wisdom. Like the lost keys in the dark. Ideological groups like ISIS (and also, for example, the demagogues, representing the shadowy side of US politics in the current US election cycle) attempt to defy reality as reflected in the Mullah’s theorem. They deny history and the passage of time with rhetoric and actions. Both Da’ish (ISIS) and Donald Trump are looking for the “great,” i.e., perfect, narrative to be found in some past period. Tansen was the royal musician in the court of Akbar, the great Mughal emperor; legend has it that his music could melt a stone. Can destructive rhetoric or actions melt time, turn back the clock, bring the “glorious” past back? Not, apparently, in the same text. A Sufi saying: The truth is always somewhere else. Like Nasruddin’s lost keys. I am the preceptor of attachment, behold! Should we believe Nasruddin or his burro? Do we favor an animal over a fine human being? Before I narrate that story, let’s examine some recent events. Iran’s president Rouhani said sometime ago that there was no place for violence in Islam. What could he have meant by this? Does he define these two words, Islam and violence differently from common usage? That where there is violence, Islam does not exist? Or perhaps, where violence exists, Islam doesn’t? Perhaps it is violence of a certain kind that is claimed not to be compatible with Islam, or being a Muslim. Violence, as usually conceived, has always existed. Three of the four Khulafa-e Rashidun (the Rightly Guided Caliphs) died in a violent manner. Perhaps the perpetrators were not, by definition, adherents of Islam. Does this mean that if someone commits violence of a sort, he/she is to be considered an apostate? Perhaps, it is violence against legitimate Muslims that is decried as inconsistent with the faith. But who is legitimate? Any person of any faith or no faith can claim legitimacy of his/her belief. So, Nasruddin or his burro? Perhaps it is unjustified violence that is being disowned, not the violence justified by divine decree or by fatwa, such as the Iranian fatwa issued against Salman Rushdie, which has, as far as I can tell, not been rescinded. Is the action ordained by this fatwa non-violent? Perhaps Rouhani is simply saying that the Islam he follows has no place for violence. That his government would renounce violence, if he had the power. If so, he runs the risk of a fatwa against him by the powers that be. As far as one can tell, Da’ish has never claimed that their version of the religion disfavors violence. If they did, the gulf between their words and their actions would be too glaring. However, even in the case of Mr Rouhani, there remains a gulf between words and actions. The words are doing violence to the facts. Is he willing to see the facts, reality? Now the story. A friend went to Nasruddin’s house early one morning and asked if he could borrow his burro. The Mullah apologized that he could not grant this favor because someone else had already taken the animal. To demonstrate his “sincerity,” he was effusive in his apology. Meanwhile, the donkey, not having been consulted in the matter, broke its silence and started to bray loudly. The friend was shocked, having found out, in the braying of the burro, that the Mullah had lied. The Mullah, never one to acknowledge a faux pas, started to accuse his friend of having such little regard for their friendship that he (Mullah’s friend) would take the “word” of a burro over the Mullah’s, cursing the times that had degraded ties of friendship to such an extent! He was offended. The point for him was not that he lied, but that his word has been given less value than that of his animal. A point missed, a face saved. A dialogue broken off. The casualty: truth. And for us to ponder: Actions or words? His burro or Nasruddin? Facts or face? St. Francis of Assisi (1181-1226) was the privileged son of a wealthy Italian merchant but gave up his possessions and adopted a life of peace, poverty, compassion and nonviolence. In a moment of conversion, while praying on his knees before a crucifix in 1205, Jesus spoke to him from the image on the cross: “Francis! go, repair my house which is falling completely to ruin.” Francis saw this as a request to transform the entire Christian church. He was reborn as a peacemaker and was convinced that God wanted him to bring the world a message of peace. He adopted the signature greeting “May the Lord give you peace” and constantly opposed warfare, arrogance and the violent culture of his day. In 1215, Pope Innocent called for the Fifth Crusade and in the spring of 1217 the armies from all across Europe slowly gathered and headed for Egypt. The Muslim and Christian armies camped across the Nile. As the war raged on over the next two years, thousands were killed on both sides. Sultan Malik al-Kamil, ruler of Egypt and a nephew of the great Kurd warrior Saladin, repeatedly tried to negotiate peace by returning Jerusalem to the Crusaders but the pope rejected the offer each time. While men slaughtered one another in God’s name beside the waters of the Nile, Francis gathered his community of brothers in Italy. Francis had always dreamed of preaching the Christian faith peacefully to the Muslims and yearned for an audience with a Muslim leader. Now his moment had arrived and he was going to forbid war and be a peacemaker. In June 1219, Francis took a few brothers with him and sailed on a perilous journey across the Mediterranean to the war zone. Upon reaching the banks of the Nile, Francis was deeply grieved to see the horrific sight of casualties of war on both sides. He retreated into deep prayers and contemplation and wondered what he could do. He began to preach vigorously against the war, forbidding it and threatening disaster but was faced with foulmouthed jeers and taunts; to the Christian soldiers the barefoot little holy man was a heretic. Despite this, Francis continued his opposition to war but all of his efforts were to no avail. Finally, Francis decided that he would act and he and brother Illuminato would venture out to meet the Muslims in their own camp. Francis understood the risks; death or imprisonment were the likely outcomes of his plan to cross the enemy lines during wartime. But Francis had a bold idea to prevent bloodbath. If the Crusade leaders would not seek peace, he would. As Francis and Illuminato crossed the enemy lines, the Muslim sentries saw them and thought they were messengers or had come to convert to Islam. Indeed, soldiers on both sides of the Crusade had converted. Francis, unable to speak the soldiers’ language, cried, “Sultan ! Sultan !” The soldiers seized them and led them to the sultan’s tent. The future saint and the sultan were roughly the same age, al-Kamil was 39, Francis 38. Francis stood before al-Kamil. The sultan looked over the odd duo, barefoot monks dressed in coarse, patched down tunics. The sultan thought that the Franks had sent them to his tent with a response to his latest peace proposal. The sultan, made weary by war, desperately wanted a deal that would end the Christians’ siege of the port city of Damietta where his people were dying of disease and starvation. Uncertain about his visitors’ intentions, the sultan asked if they had come as representatives of the pope’s army. “We are ambassadors of the Lord Jesus Christ”, Francis responded, asserting that he was God’s ambassador, not the pope’s. “If you wish to believe us, we will hand over your soul to God,” Francis continued. Whatever Francis said, the sultan became very attentive to and listened closely. It was an amazing scene of a monk preaching the Christian faith to a Muslim monarch in the middle of a war. The sultan’s religious advisers were rushed into his tent. Once they found out that al-Kamil was going to let Francis preach, they warned him that this would violate Islamic law. Al-Kamil had a prominent Sufi as his religious adviser and he saw Francis in the light of Sufism and the Muslim tradition calling for respect for Christian monks. In their rough, patched up tunics Francis and Illuminato looked like Sufis, since the very name of Sufis came from the Arabic word for wool, the scratchy material used to make their robes. Like Francis, they also wore a cord rather than a belt. Francis was a dynamic preacher. He preached from the heart and the sultan and his court listened to Francis attentively. The discussions went on for several days and had multiple participants. It was a peaceful exchange of ideas about the two competing religions. Francis and Illuminato were treated as honored guests in the Muslim camp. Francis was deeply impressed by the Muslim religious practices, especially the call to prayer. The sultan offered Francis many gifts but Francis turned them down. Francis did, however, agreed to accept a token of their meeting; an ivory horn used to make the Muslim call for prayer, which is now displayed in a room of relics at the Basilica of St. Francis in Assisi. Francis used it to call people to hear him preach on his return to Italy. Although Francis was disappointed not to have converted the sultan, he had shown Sultan al-Kamil what it meant to be a true Christian. He and al-Kamil had found a way of talking peacefully during a gruesome war. Sultan then sent Francis and Illuminato back to the Christian camp under his protection. The Fifth Crusade ended in 1221 in a decisive victory for al-Kamil which resulted in a great number of losses on both sides and eventually in the surrender of the pope’s army. Al-Kamil agreed to an eight-year peace agreement with Europe. Francis returned to Italy soon after his encounter with the sultan but held the sultan deep within his heart. He grew ill but his yearning for peace intensified. He constantly preached to abolish war and renew peace agreements. In the summer of 1224, the call for another crusade went out across the land. Francis was struck with grief and went on a solitary retreat to observe a forty-day period of fasting and prayer. It was during this solitude that Francis had a miracle in which he received the wounds of the crucified Jesus on the basis of which he was later canonized as a saint. When Francis emerged from this vision, he wrote a prayer on a parchment that resembled the Muslim meditation on the 99 Most Beautiful Names of God. Francis was apparently inspired by the prayers he learned about while in the Middle East. On the same parchment, Francis drew the head of a man at the bottom. The face Francis drew represented none other than Sultan al-Kamil. It was a heartfelt prayer for God to protect Sultan al-Kamil and bring peace. Francis wept through his last years. He stayed within a dim cell of a church and died on October 3, 1226. He was canonized as St. Francis of Assisi in 1228. Sultan al-Kamil prospered in his remaining years and died in March 1238 having ruled Egypt as viceroy and sultan for some 40 years. 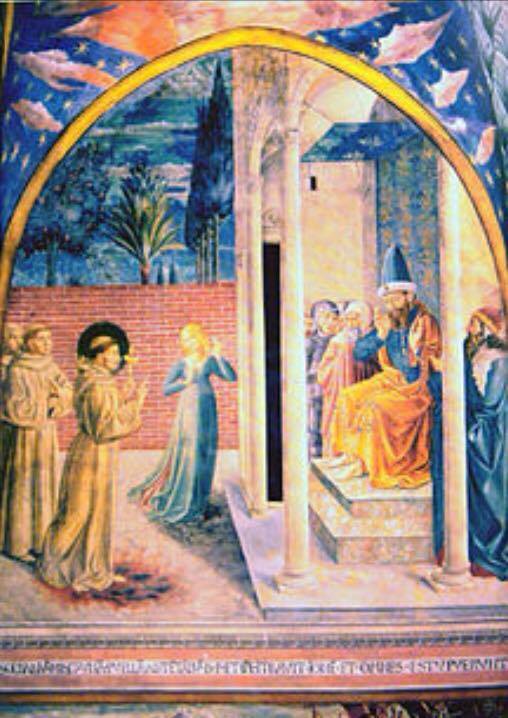 The encounter between Francis and the sultan provided the foundation for the World Day of Prayer for Peace in Assisi in 1986. St. Francis’s encounter with Sultan al-Kamil in 1219 can be an antidote, a reminder that responding to violence through violence cannot succeed, that goodness and respect can really change hearts. The dynamic of stirring a populace to war has not changed over time; it still begins with demonizing the enemy. Francis saw through that. The road to peace is for all of us, on individual basis, at personal level. Francis took matters into his own hands by bravely seeking out a personal relationship with the sultan. And al-Kamil went deeper into his own religious tradition to retrieve the theme of respect for holy Christians, even though he was under attack by the pope’s army. Hostility is more likely when one people is distanced from another and demonized. Peace gets a chance when the divide between people is bridged through personal relationships. by Paul Moses, Professor of Journalism at Brooklyn College, CUNY, New York.